Bristol Energy Cooperative’s first community owned wind farm – help make it happen! Latest: The application was refused by South Gloucestershire Council at the planning meeting on 11 December. 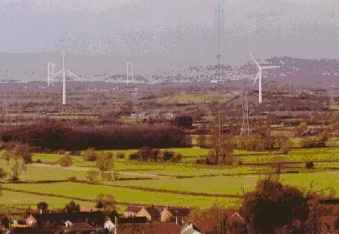 On Thursday 11 December, the M48 wind farm is finally coming to planning committee. 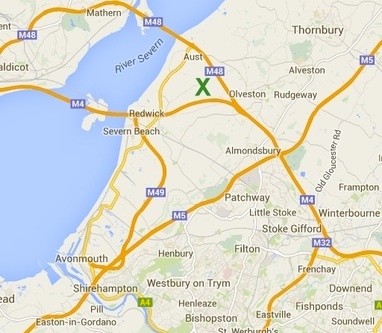 The site is just north of Bristol, between the M4 and M48 motorways, in South Gloucestershire. Bristol Energy Cooperative has an option to buy the farm, and volunteers have put in a huge amount of work to get to this stage. Now they just need your help to cross the finish line. 1. Add a supportive comment to the online planning application. 2. Ask the councillors on the planning committee to support the application. 3. Be there for the planning decision on Thursday 11 December in Thornbury – transport provided. To leave a comment on the application go here. It is important that councillors receive a strong message which demonstrates the high level of support for renewables that exists in our area. This is why we have decided to support our BEC coleagues and why we would like to encourage you to make a supportive comment on the planning application. ‹ Moorhouse Farm Solar Array – now under construction.